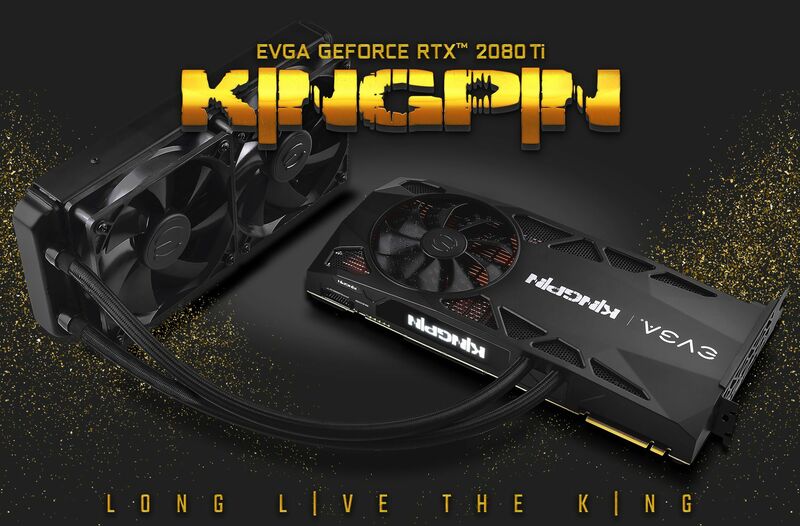 EVGA has finally launched their GeForce RTX 2080 Ti KINGPIN graphics card which aims to offer the most extreme overclocking performance of any RTX 2080 Ti graphics card designed to date. 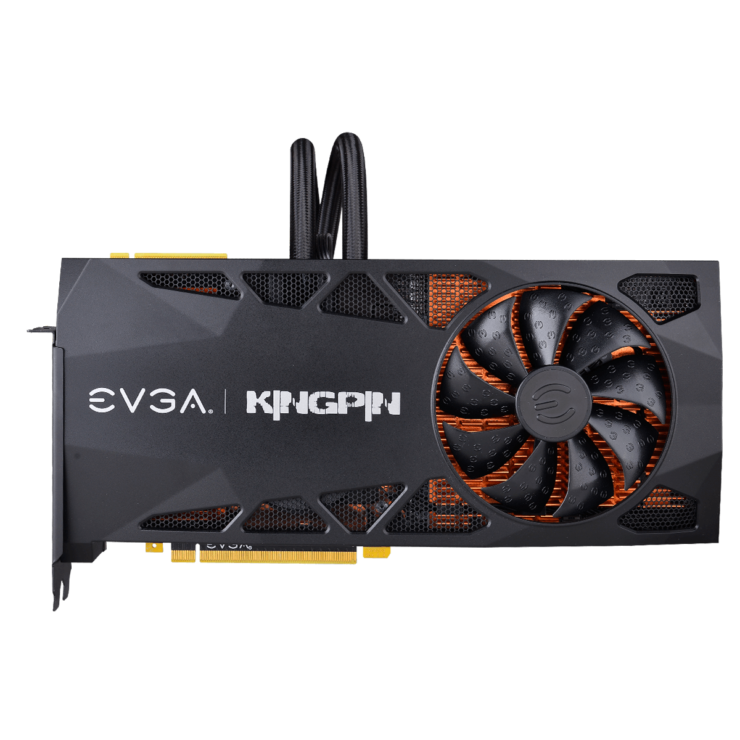 EVGA’s flagship first appeared back at CES 2019 and now, those who were looking to buy one can get it for a wallet-breaking price of $1900 US. 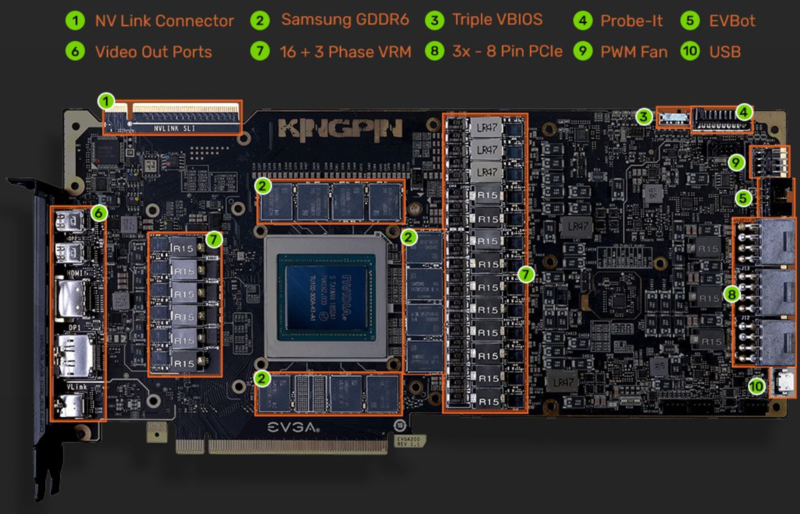 There are many aspects of the EVGA GeForce RTX 2080 Ti KINGPIN which needs to be detailed. 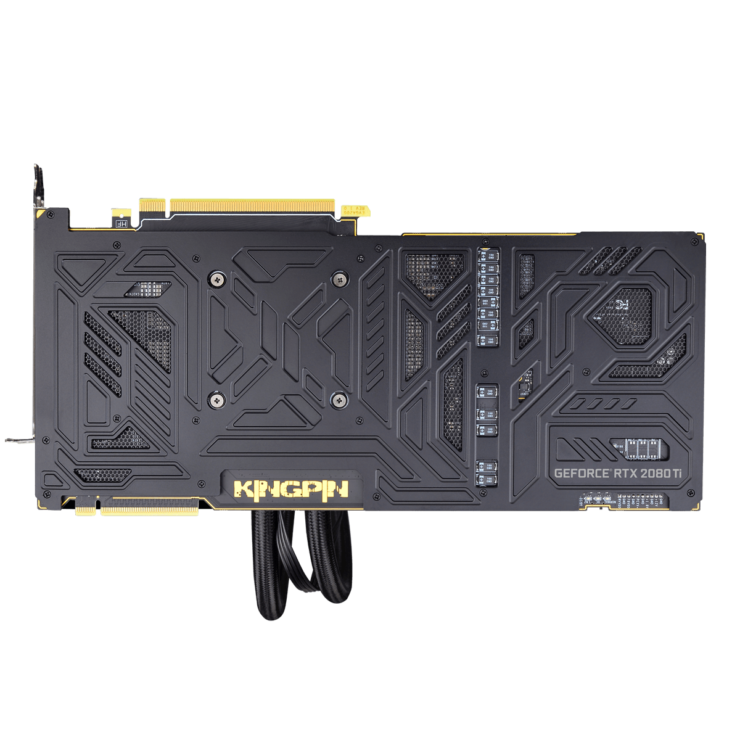 For starters, the card utilizes the TU102 GPU architecture and houses 4352 CUDA cores and 11 GB of GDDR6 VRAM like the rest of the RTX 2080 Ti cards. In terms of clock speeds, the core runs at 1770 MHz boost while the memory is clocked at 14 GHz effectively. These are pretty standard clocks out of the box but it’s not the factory overclock that matters with the KINGPIN, it’s how much users can squeeze out of this bad boy as the PCB it rocks is really impressive. Now coming to the cooling system, EVGA is using a hybrid cooling system which features a single 100mm HBM fan mounted on the full metal heatsink which is also copper plated and additionally, two 120mm PWM fans (69.5 CFM) which are equipped to the 240mm radiator that EVGA is offering with the card. The pump is an Asetek Gen 6 design with direct die contact offered through a fully copper cold plate. 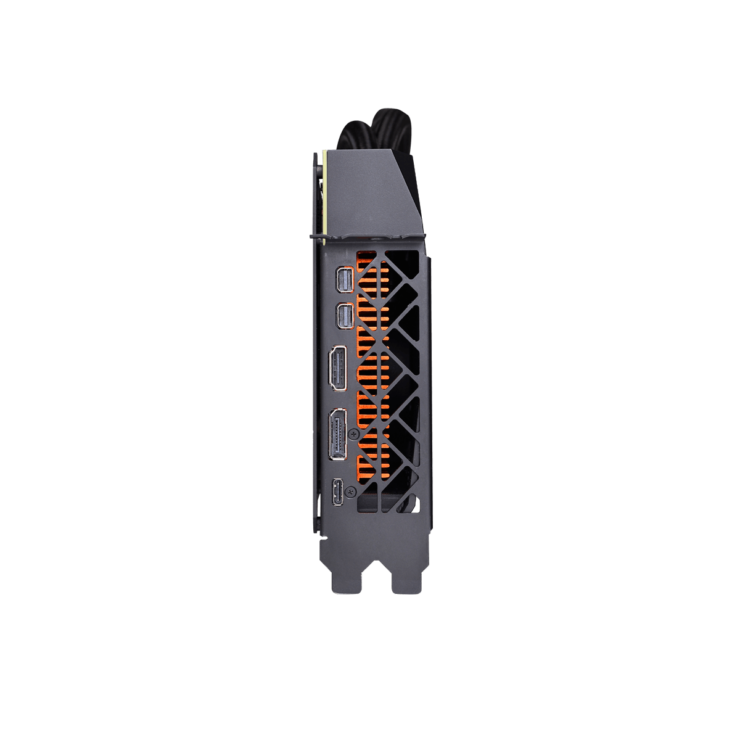 The VRMs are also cooled down by a separate modular heatsink which makes it easy for installing aftermarket GPU coolers. In addition to the heatsink, the shroud and backplate featured on the card are also made of solid metal which offers a more durable design than plastic which is often used for cooler shrouds and backplates. 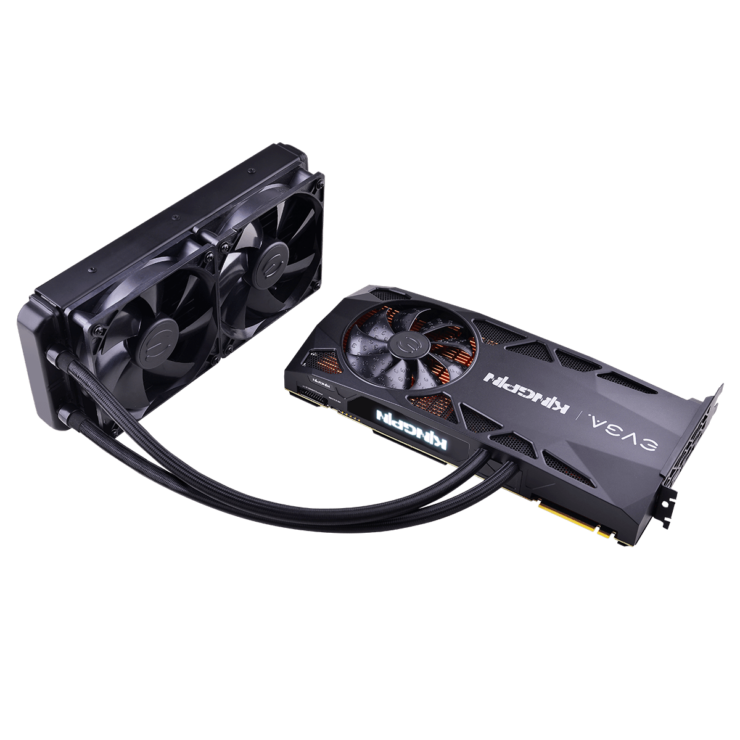 The card would also come with an LCD display which will show various statistics of the card such as Voltage readings, Temps, Core clocks, GPU Utilization, etc. Next to the LCD would be the LEDs for diagnostics, voltage measurement points, BIOS switch, and headers which can be used with an Evbot module. 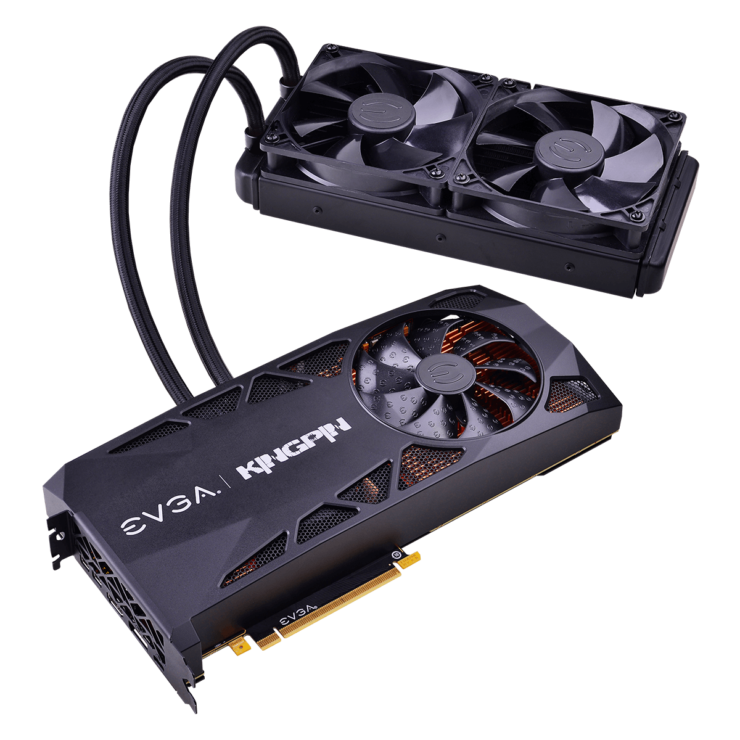 Of course, the card is fully compatible with EVGA’s Hydro Copper full cover water block which will be sold separately and comes with its own OLED bracket and a single slot bracket to make full use of the extra space when going NVLINK. 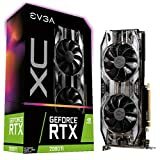 The card is available for $1899.99 US at EVGA’s store but is only exclusive to EVGA Associate members and Associate Code users. 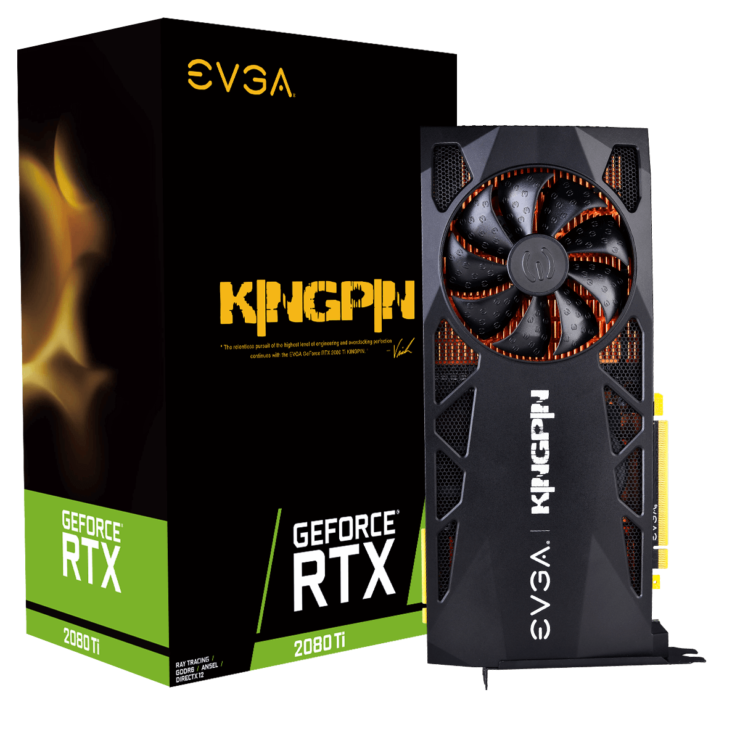 It’s a really hefty price to pay for an RTX 2080 Ti and all custom cards end up around the same clock speeds but considering the extra 520W power that KINGPIN offers and those who are looking to use this for some serious OC sessions on LN2 cooling, I guess it would make sense but not so much for the average gamer.